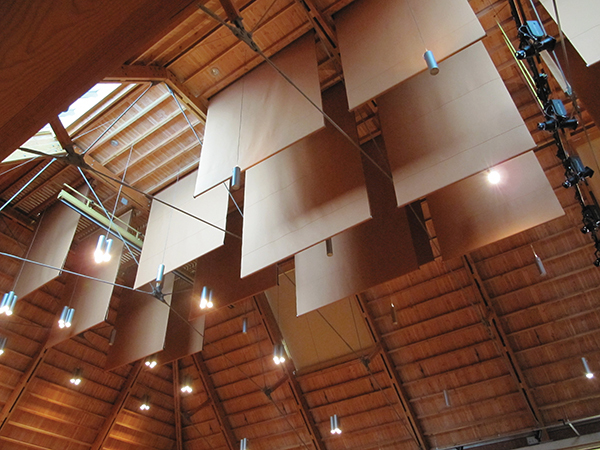 Double Roller Banner units provide enhanced acoustic absorption benefits and provide different acoustic properties using two layers of acoustic Wool Serge as opposed to a single layer. The banner has a bottom roller which keeps the fabric taught, allowing a constant tension throughout its travel. Test reports and datasheets are available.